A large proportion of properties make use of wooden beams at various points, which helps provide support and stability. Not only functional, many interior design schemes incorporate deliberately exposed beams to create an aesthetic that is at once rustic and modern. Whether purely used as support or also as a decorative element, it is important that wooden beams are protected and preserved; the best way to get the job done is with Wykamol boron rods. Boron rods are an inorganic solid implant wood preservative. 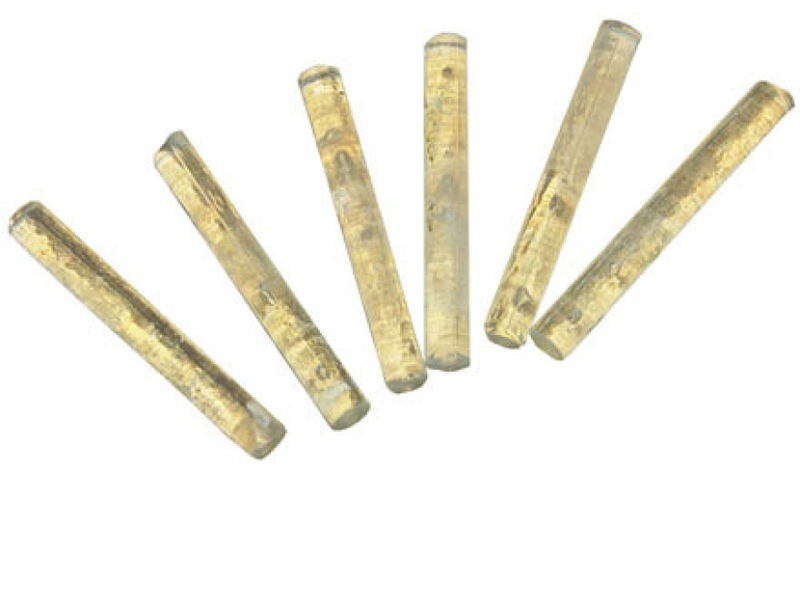 Formed entirely from anhydrous boric oxide, the cylindrical rods contain the highest level of borate preservative available in this form, which is 1.7kg boric acid from each 1kg boron rod. Where and how are they used? 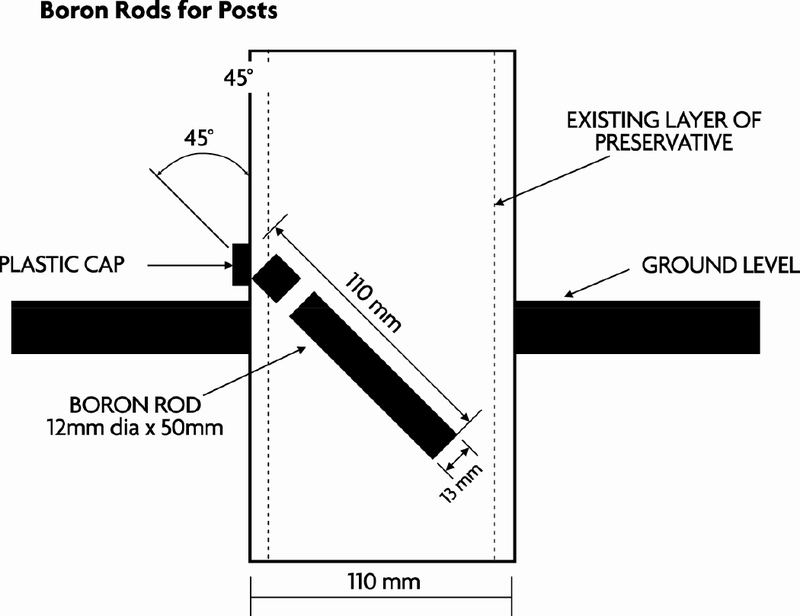 To adequately control wood-rotting fungi and wood-boring beetles in both new and existing timber structures, boron rod implants may be used.Timber that is already affected by decay may be treated with the versatile rods or they may be used simply as a preventative measure in sound timber considered to be at risk of becoming repeatedly wet. Extremely safe and convenient to handle, the method of implanting boron rods is simple and is detailed below. You get peace of mind that your wooden beams are given full cross-section protection and the process is versatile enough to be carried out successfully on almost any timber. The preservative action becomes mobilised when it is exposed to a wood moisture content above 35% w/w, after which point it is officially damp. For full protection against beetles where timbers are particularly dry and/or full protection from fungal decay due to service wetting that does not cause the wood to exceed a moisture content above 35% w/w (thus leaving the boron unactivated), it is recommended that a surface application of appropriate liquid preservative is used as an adjunct to born rod implant. Before treating any structure with boron rods, it must be checked thoroughly for the presence of bats, which are protected by law under the Wildlife and Countryside Act of 1981. The structural integrity of timbers should also be checked before treatment and those timbers that are unsound should be replaced, isolating them from the masonry wherever possible. Any sources of moisture should be tracked down and rectified; improving ventilation is also a good move. Don't worry about a little surface crystal­lisa­tion of the boric acid if it happens; it has no adverse effects on paint adhesion. If the timbers are decorative, the excess boric acid can be simply wiped away. What is the installation method? ASCERTAIN you have everything you need. The number and configuration of the holes and rods will vary from structure to structure. The overall coverage in vulnerable areas should be around 7 kg of Wykamol boron rods per m³. In vertical elements, place first rod no further than 50mm from end grain/joints. 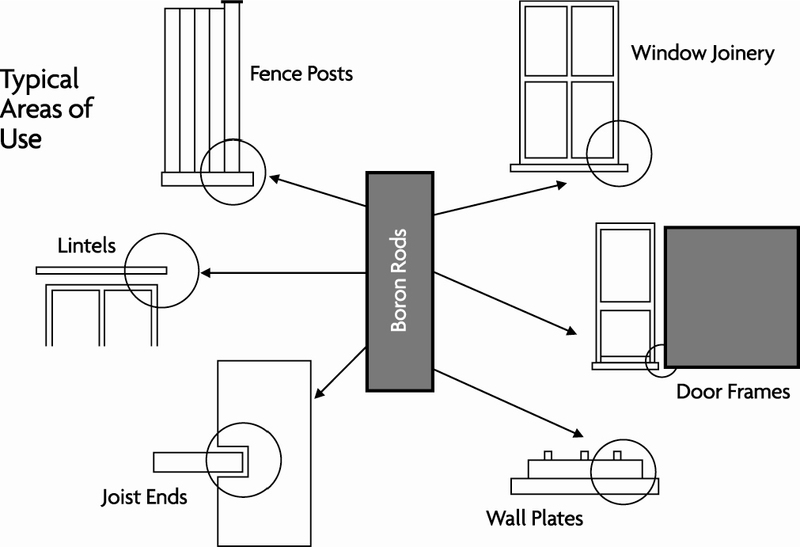 In window frames, rods inserted every 100m along the sill grain and 50mm across the sill grain should be sufficient. For fence posts, drill a hole at 45˚ to groundline to a depth equal or exceeding 100% of post diameter. Boron rods work well in conjunction with Wykamol 40, which is a boron gel product that helps provide both fast and slow distribution of the preservative material; this is especially suitable to areas of timber where decay is already established.